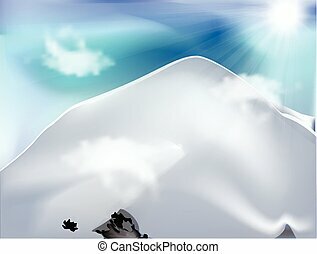 Set of stylized snow mountains logo. 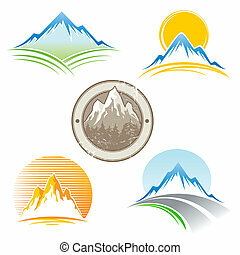 Set of stylized snowy mountains logo vector. 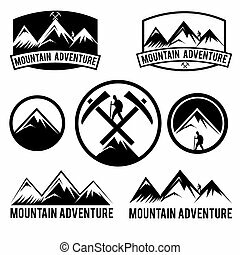 Mountains icons set in black. Panorama of mountains. 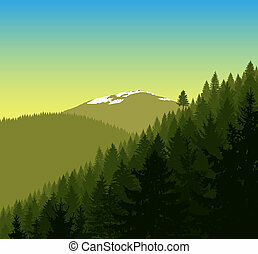 Silhouette of mountains with snow and coniferous trees on the background of colorful sky. Can be used as eco banner. Illustration of a cabin/house/lodge icon or logo. 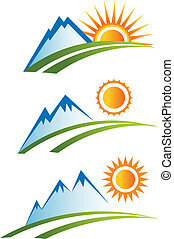 Illustration of stylized mountains in various color combinations.